Jeep presents its all new Cherokee 2015 with an intention to replace the Liberty. 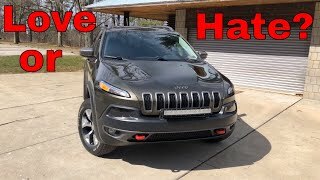 Taking a mile ahead when compared to its predecessor, Cherokee is housed with upgrades and better inculcations in each and every corner, including interior, exterior and performance as well. 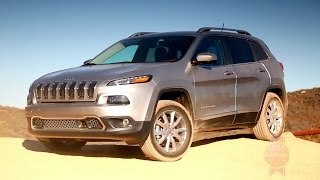 Let us have a close look at the review of Jeep Cherokee 2015 and get to know more about the model. Interior of Jeep Cherokee 2015 is way ahead of its predecessor. Interior has been created neatly with high quality materials covering the Jeep Cherokee in its dual tone design. With enough room for five passengers the cabin of model brings treat for your eyes. Glory begins with the straightforward center stack which looks clean with its configuration while the instrument panel comes with a large information display located in its center and well visible through the multi-function mounted three-spoke steering wheel. 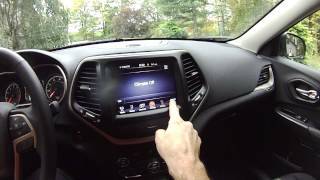 As an option Jeep Cherokee 2015 offers you backup camera, automatic headlamps and heated and ventilated seats. There is also a Uconnect system with a touchscreen display mounted in center, amidst two angled triangular shaped air vents. Exterior of Jeep Cherokee 2015 portray a forward stance. Its distinct styling begins with a seven-slot grille sitting between daytime running lights featuring an elongated look while the headlamps sit beneath them, adding to another distinct feature of Jeep Cherokee 2015. The lower apron has a huge air vent to deliver fresh air to its engine. 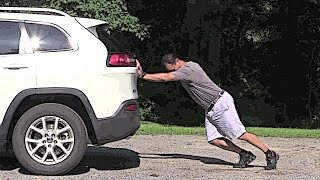 Moving towards the rear fascia of Jeep Cherokee you have elongated tail lights on the decklid while brake lights are mounted below over the black bumper. 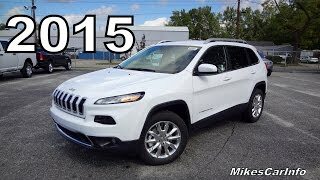 In all the exterior of Jeep Cherokee 2015 is classy and unique, by looking at which we believe company will get some new customers. Jeep Cherokee 2015 will be available in two version of 2.0 Liter MultiJet II turbo diesel delivering 140 and 170 hp. The former version brings out total output of 140 hp and peak torque of 350 nm while the latter generates 170 hp and 350 nm of peak torque paired to nine-speed automatic transmission while former comes with a six-speed manual transmission. Both these engine prove their fuel efficiency as well by serving 53.3 mpg and 48.7 mpg respectively.